Black Leather Braided Double Whistle Lanyard Ideal For Gun Dog Training. See also Braided Leather single whistle lanyards. Black Leather Braided Rounded Single Lanyard Ideal For Gun Dog Training. Blaze Orange Nylon Whistle Lanyard Ideal For Gun Dog Training. Blaze orange nylon with steel Whistle Clip. Blue Nylon Whistle Lanyard Ideal For Gun Dog Training. Blue nylon with steel Whistle Clip and quick release clasp. Brown Leather Braided Double Whistle Lanyard Ideal For Gun Dog Training. Brown Leather Braided Rounded Single Lanyard Ideal For Gun Dog Training. Browning Black Nylon Whistle Lanyard with Browning Brand. Ideal For Gun Dog Training. Browning nylon with quick detach steel Whistle Clip. Dokken Black Nylon Whistle Lanyard Ideal For Gun Dog Training. 2 clip whistle lanyard for holding two different pitch whistles. Black nylon with steel Whistle Clip. Grey Nylon Whistle Lanyard Ideal For Gun Dog Training. Grey nylon with steel Whistle Clip and quick release clasp. Light Brown Leather Braided Rounded Single Lanyard Ideal For Gun Dog Training. Light Pink Leather Braided Flat Single Lanyard Ideal For Gun Dog Training. Approximately 18" long (45cm), and the flat braided part is approximately 1cm wide. Red Nylon Whistle Lanyard Ideal For Gun Dog Training. Red nylon with steel Whistle Clip and quick release clasp. Yellow Nylon Whistle Lanyard Ideal For Gun Dog Training. Yellow nylon with steel Whistle Clip and quick release clasp. This professional model enables the dog trainer to create a crescendo of sound in tremendous variety. There are many dog trainers who consider this to be the ultimate in-tune communication with your dog. Nickel Silver. Also available in Black Plastic. The ACME 560 Thunderer Combination Model Classic Retriever whistle. Excellent for ‘Stop’ and ‘Turn’. Model 560 Thunderer in combination with 210.5 Sonec. Shatterproof and bite resistant, high impact plastic. Preferred by Spaniel owners but an excellent all-round dog whistle for close and distance control for Gun Dog Retrievers. Invented by ACME in 1935 and still the ultimate in training and commanding for sporting and domestic dogs. With ultra sonic adjustable frequencies it can be heard for over 1.5km. Adjustable frequencies of between 5400Hz to 12800Hz. When you blow the Silent Dog Whistle from Acme, you can hear the air going through the whistle yourself, but other than that it is almost inaudible to humans. The pitch is adjustable and instruction booklet on training a dog with it is included. ACME Dog Whistle in Baby Blue. Acme 210.5 Ultra High Pitch Dog Whistle (m22). Easy blowing, ultra high pitch without cork. Produces a solid tone with a single extremely high frequency. Plus other special edition colours, whilst stocks last. * Keep your whistle commands consistent and your dog will always know what you expect of him. * The dog's behaviour can be trained according to your instructions. For example, at meal time, blow one long blast on the whistle and say sit/Hup before they get the food. This will let the dog know, they have to listen to a command. It will only take a few times of doing this and your dog will react quickly. When you are out in the field, the dog will know to sit when the whistle is blown once. ACME Dog Whistle in Black. For other colours, please see: Blaze Orange, Lime Green, Yellow, Forest Green, Baby Blue and Coral Pink. For other colours, please see: Black, Lime Green, Yellow, Forest Green, Baby Blue and Coral Pink. New colour from ACME Whistles in the UK. ACME Dog Whistle in Coral Pink 210.5 Ultra High Pitch. For other colours, please see: Black, Lime Green, Yellow, Forest Green, Baby Blue and Blaze Orange. ACME Dog Whistle in Forest Green. ACME Dog Whistle in Lime Green. For other colours, please see: Black, Blaze Orange, Yellow, Forest Green, Baby Blue and Coral Pink. ACME Dog Whistle in Yellow. For other colours, please see: Black, Blaze Orange, Lime Green, Forest Green, Baby Blue and Coral Pink. ACME Dog Whistle in Baby Blue. Acme 211.5 Ultra plastic standard Dog Whistle. For Acme 211.5 in other colours, see Black, Blaze Orange, Coral Pink, Lime Green, Yellow and Purple. ACME Dog Whistle in Black. Acme 211.5 Ultra plastic standard Dog Whistle. For Acme 211.5 in other colours, see Baby Blue, Blaze Orange, Coral Pink, Lime Green, Yellow and Purple. ACME Dog Whistle in Blaze Orange. Acme 211.5 Ultra plastic standard Dog Whistle. For Acme 211.5 in other colours, see Baby Blue, Black, Coral Pink, Lime Green, Yellow and Purple. ACME Dog Whistle in Coral Pink. Acme 211.5 Ultra High Pitch whistle. For Acme 211.5 in other colours, see Baby Blue, Black, Blaze Orange, Lime Green, Yellow and Purple. ACME Dog Whistle in Forest Green. Acme 211.5 Ultra plastic standard Dog Whistle. Special Edition Colour Whilst Stocks Last. Forest Green Special Edition Colour Whilst Stocks Last. ACME Dog Whistle in Lime Green. Acme 211.5 pitch. For Acme 211.5 in other colours, see Baby Blue, Black, Blaze Orange, Coral Pink, Yellow and Purple. ACME Dog Whistle in Purple. Acme 211.5 Ultra plastic standard Dog Whistle. For Acme 211.5 in other colours, see Baby Blue, Black, Blaze Orange, Coral Pink, Yellow and Lime Green. ACME Dog Whistle in Yellow. Acme 211.5 pitch. For Acme 211.5 in other colours, see Baby Blue, Black, Blaze Orange, Coral Pink, Lime Green and Purple. ACME 212 Professional Field Trialler Dog Whistle in Black. The professionals' choice constant frequency no matter how hard or soft you blow. It's preferred by spaniel trainers and other gun dog trainers because of its clarity and reach. The Pro Trialler Whistle maintains a constant frequency regardless of how hard it's blown and ensures dogs will recognise "their" whistle. Also available in Blaze Orange. See link below. ACME 212 Professional Field Trialler Dog Whistle in Blaze Orange. The professionals' choice constant frequency no matter how hard or soft you blow. Also available in Black. See link below. ACME 636 Pealess Tornado Whistle in Blaze Orange. Weather and shatterproof. The Hellova whistle is very loud and is ideal for long-distance dog training and long-distance dog competitions. It's also ideal for applications such as: marine safety use, exploration, athletics, climbing, and bush walking. Weather and shatterproof. 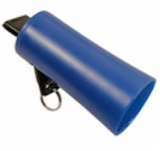 The Hellova whistle is very loud and is ideal for long-distance dog training. It's also ideal for applications such as: marine safety use, exploration, athletics, climbing, and bush walking. Also available in Black. sku : WHISTLE901blk. Buffalo Horn Whistle with leather lanyard. The whistle is handmade from water buffalo horn. Each whistle is unique and may differ from that pictured. Also see our Sambar Deer Antler Tip Dog Whistle. The Hunt Test is a shorter version of the original Dallesasse Field Trialer whistle, proven to be the ideal whistle for hunting and hunt tests. A shorter version of the original Dallesasse Field Trialer whistle, proven to be the ideal whistle for hunting and hunt tests. Higher Pitched for greater distance. No.1 Choice for US Pro Dog Trainers. Also available in Blaze Orange as a seperate sku. Also available in Black as a seperate sku.